Social Enterprise UK, the national body representing all aspects of the social enterprise sector, announced today that BBRC is one of the finalists in the ‘Social Investment Deal of the Year’ category in its Social Enterprise Awards 2016. 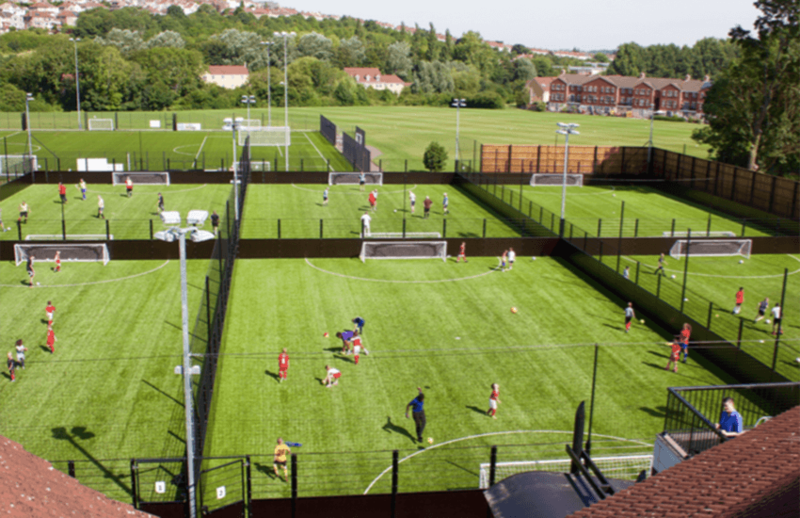 BBRC’s innovative first deal raised just under £1 million to finance the building of 6 new five-a-side pitches and other improvements at South Bristol Sports Centre. The pitches were vital to the survival of the centre, which has over 3000 visitors per week from the South Bristol area. BBRC raised the funds using a mixture of bonds eligible for Social Investment Tax Relief (SITR), and bonds held with local and national investors, including an investment from the Bristol Credit Union. We’ve been thrilled to see the Social Impact that our investment has already created, with a full summer of kids’ football camps, Adult Mental Health leagues, over 55’s Walking Football to name just a few of the social inclusion programmes being run on the pitches. This was our first investment deal, so we’re delighted that it has received national recognition. We’re also pleased to note that another Bristol-based deal has been shortlisted, between Bristol Energy Co-operative and Social & Sustainable Capital. We hope that both of these nominations contribute towards our driving goal; encouraging investors and projects to join us in promoting social investment deals to improve the region.